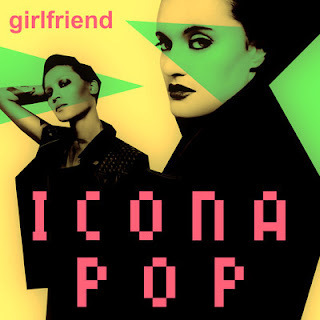 Anyone even remotely interested in Swedish pop music will already be familiar with Icona Pop. Their debut EP ‘Nights Like This’ was released back in 2011 and since then the electro pop duo have grown from strength to strength with a full album release in their native Sweden and their hit single I Love It (featuring label mate Charli XCX and originally being released way back in 2012) recently going platinum in the states. In short, Icona Pop make massive pop bangers and are the biggest thing to come out of Sweden in a while. And yet they’re still awaiting success here in the UK?! All that is about to change. Whilst we await the release of their full album (and indeed its lead single I Love It), a new track has surfaced: Girlfriend. As with their previous material, this is a fizzing pop track that’s instantly hooky, its chorus line (and title) taken from Beyoncé and Jay-Z’s Bonnie and Clyde (itself taken from Tupac’s Me And My Girlfriend). Alongside I Love It, this is pop music at its best – short, snappy and infectious. Listen: I Love It will be released on June 21st, with the duo's self-titled debut LP following soon.